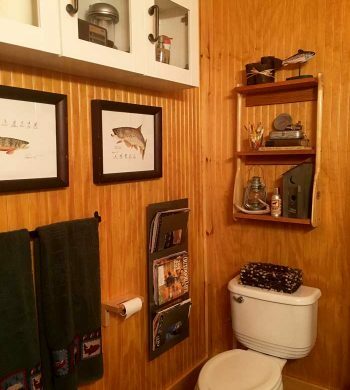 Any accessory or decorating project for bathroom decor. 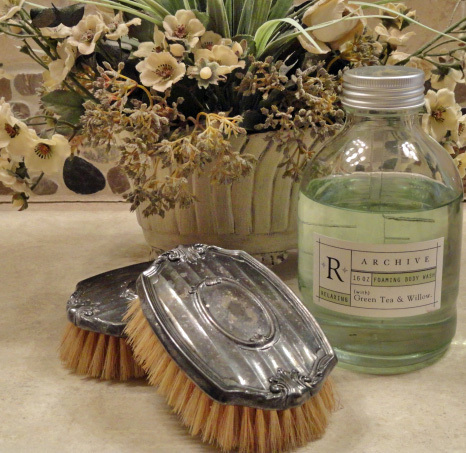 Find craft tutorials and inspiration for a variety of rustic bathroom styles. Whether you are looking for rustic chic, farmhouse, or modern rustic, there are plenty of projects to choose from. 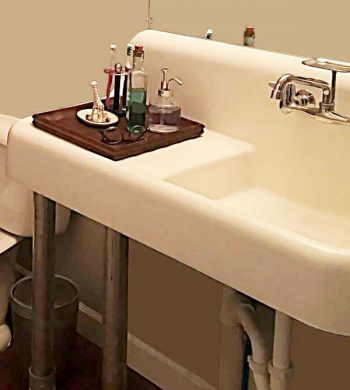 An old farmhouse sink gets a new life in a bathroom when we renovated a 1905 house. 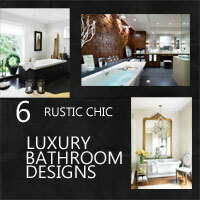 Feel pampered with these six ideas for luxury bathroom designs in a rustic chic style that are relaxed and spa like. 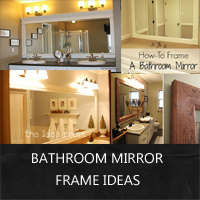 Upgrade your builders grade bathroom mirror with a diy frame using one of these bath mirror frame ideas. 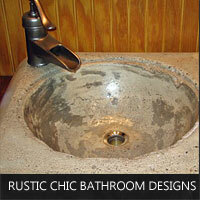 For simple redecorating or a larger remodel project, check out this collection of rustic chic bathroom designs. 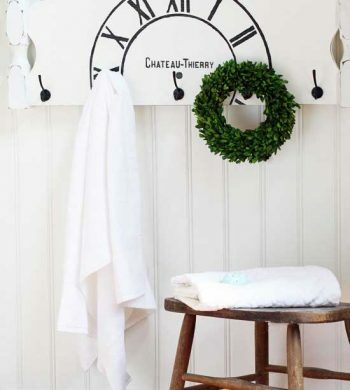 Get inspired for your next decorating project with these creative cottage bathroom ideas. 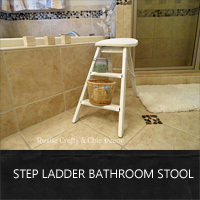 I needed a bathroom stool so I incorporated a step ladder to sit on and use the steps for storage. 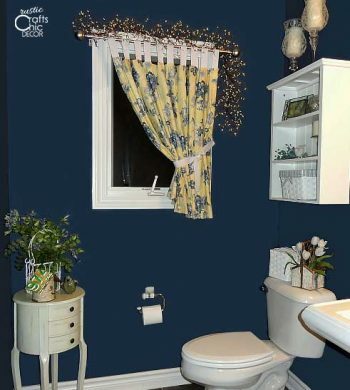 Check out these powder room ideas that use color, texture or unique decor to give the rooms a nice wow factor. Get inspired by these five bathrooms decorated in a shabby chic style all with unique characteristics!